First broadcast in England on January 21, 1968, "The Girl Who Was Death" was written by Terence Feely, from an idea by David Tomblin, producer of The Prisoner and director of this episode. Again mysteriously transported from The Village, Number Six finds himself in an isolated lighthouse with a girl named Sonia (Justine Lord) who by some fluke of fate has apparently caused the deaths of at least three men. Referring to herself as "Death", Sonia insists that she and Number Six are made for each other, inasmuch as he has survived so many previous attempts on his life. As the story progresses, it becomes painfully obvious that the so-called lighthouse is actually a nuclear missile, designed by Sonia's demented father (Kenneth Griffith) to destroy London. 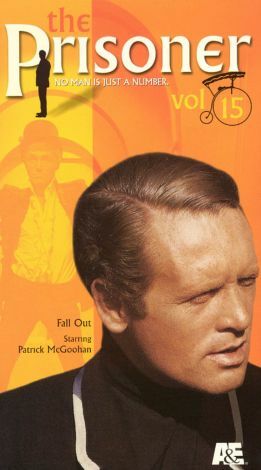 Originally intended as a two-part episode, "The Girl Who Was Death" was diminished to a single installment because of star Patrick McGoohan's commitment to the theatrical feature Ice Station Zebra; in fact, McGoohan is absent from much of the proceedings, requiring the producers to use doubles and stock shots for certain linking scenes. The episode made its American TV debut on September 7, 1968.